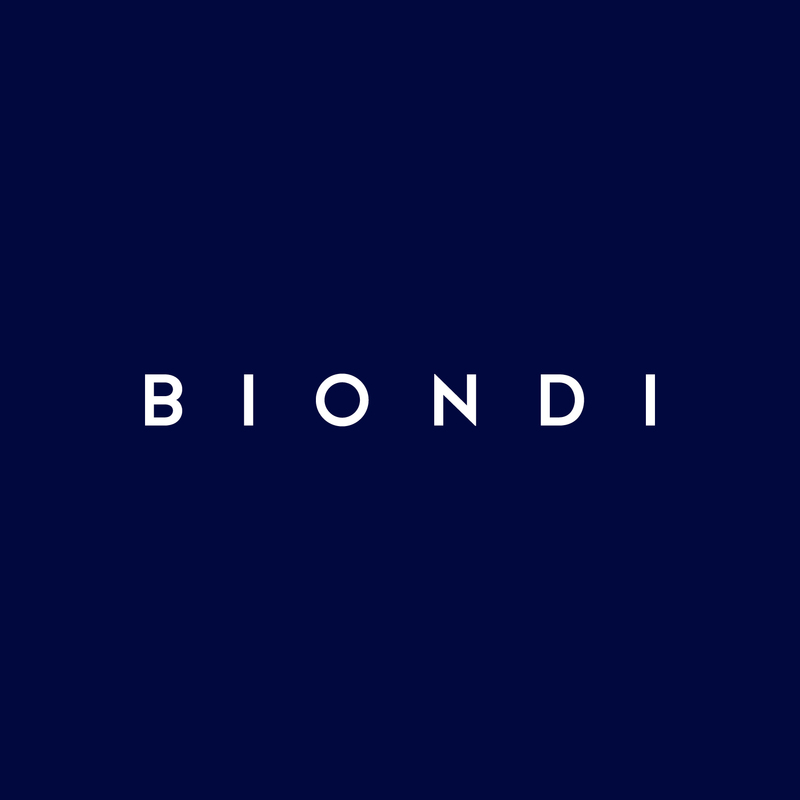 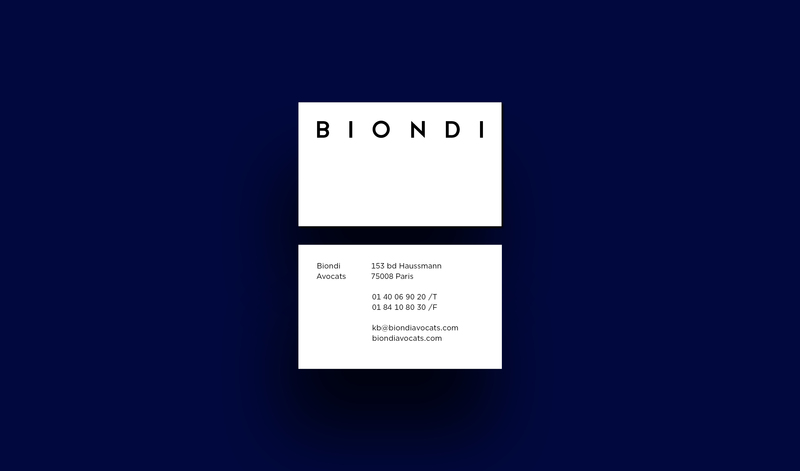 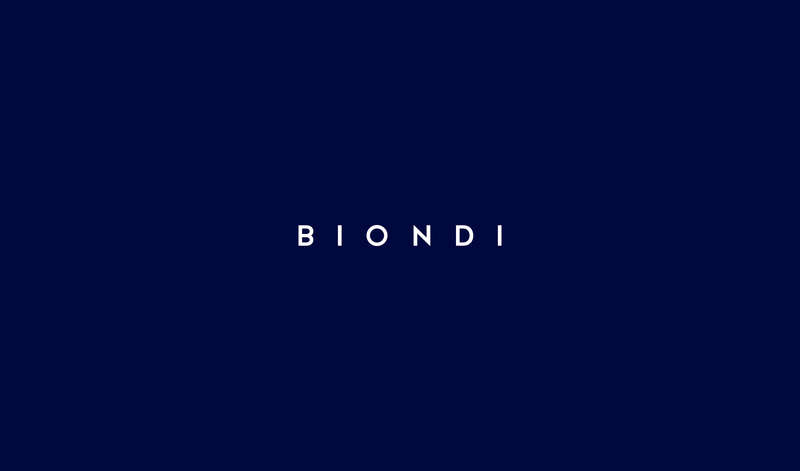 Biondi Avocats is a Paris-based law firm specialised in intellectual property and private law. 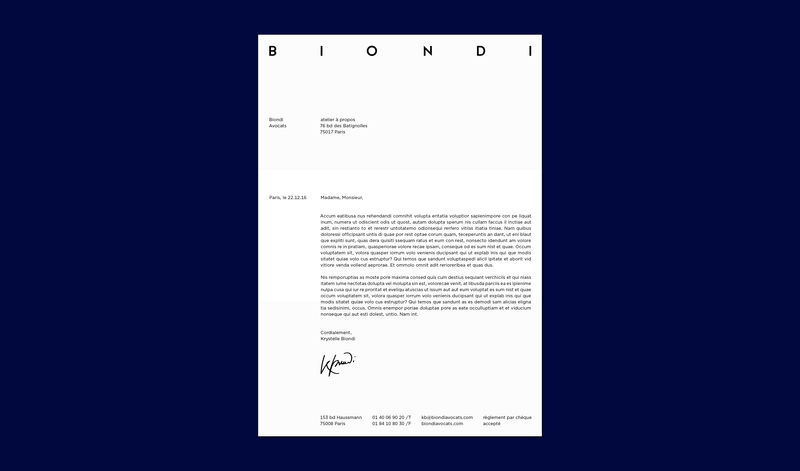 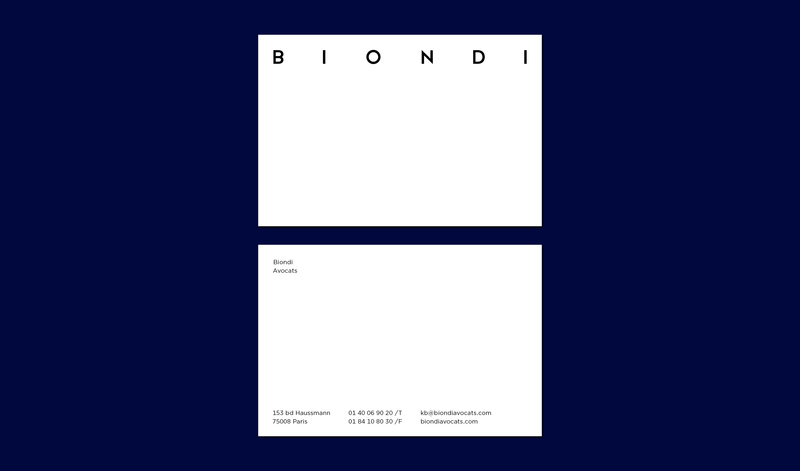 Ms Biondi contacted atelier à propos for the creation of the firm's logo and printed material. 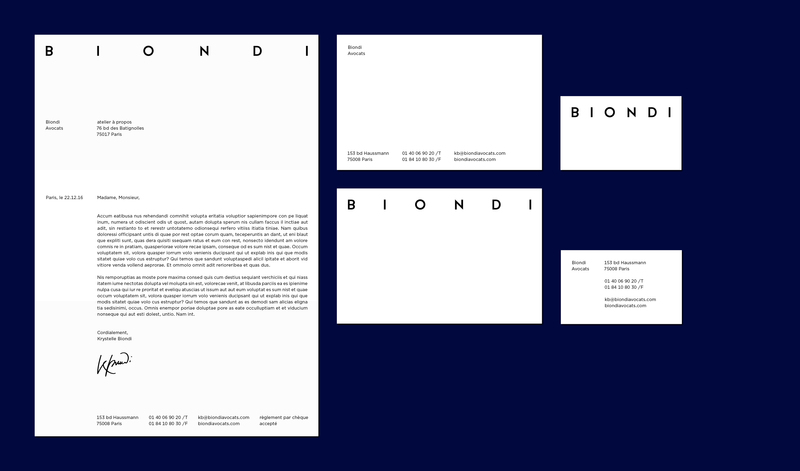 The logo had to be simple, legible and adaptable, and had to reflect the firm's professionalism. 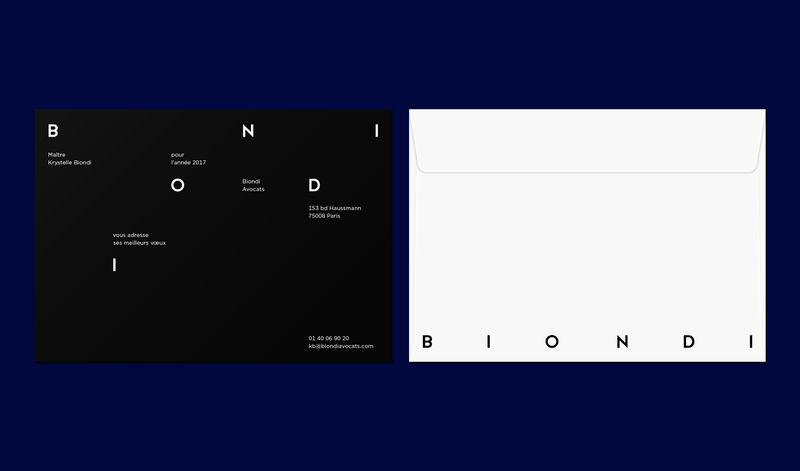 atelier à propos created a sans serif typographic logo set in a single font size. 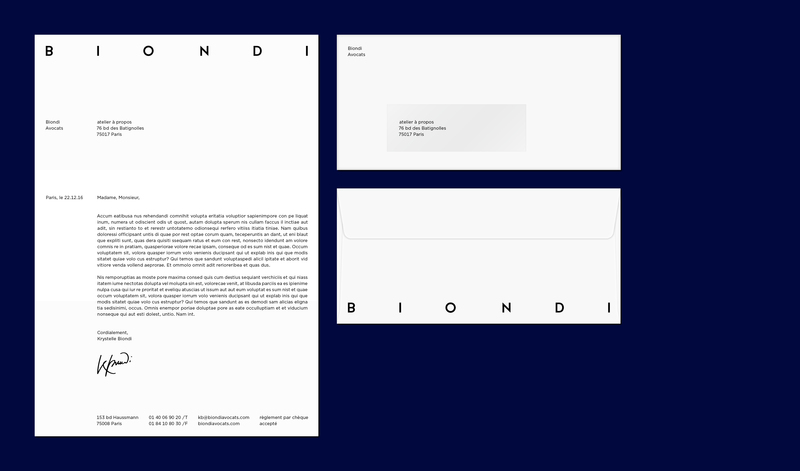 The floating letterspacing allows the logo to adapt to the width of each format used by the company: business cards, communication cards and letterhead.